Here is our selection of HDMI Switches and Splitters. 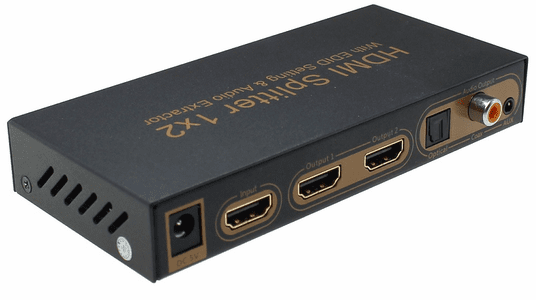 If you have one device with an HDMI Output, and you want to display the same image on multiple screens, then you need an HDMI Splitter. If you have multiple devices (PC, xBox, PS3, Cable Box), and you want to switch between those devices to show on your one display, then you need an HDMI Switch. If you have multiple devices, and multiple displays, and you want to be able to use both simultaneously, then you need the Matrix Boxes.